Glavis Judd: Protector of the galaxy or interstellar tyrant? Unscrupulous reporter Dexel Dynes doesn't care. He's only after a sensational story — the more violent the better. Meanwhile, the TARDIS has landed Peri and the Doctor on a strangely isolated little world, whose immaculate gardens basking under a timeless sun seem the very model of tranquillity. Of course, it's too good to be true. With the threat of invasion looming, the Doctor and Peri set out to confront the lofty Lords of Esselven. The Doctor must pass safely through the vast gardens of the royal estates while evading the clutches of their fanatical gardeners. Peri has escaped from all that, only to face the dangers of the dark and mysterious wild woods, which hold their own ancient secrets. It is a race to save the people of Esselven from the clutches of Glavis Judd. But who amongst the garden world's strange inhabitants can they trust, when nobody is quite what they seem? As time runs out, will Peri and the Doctor discover who really rules inside the Palace of the Red Sun? 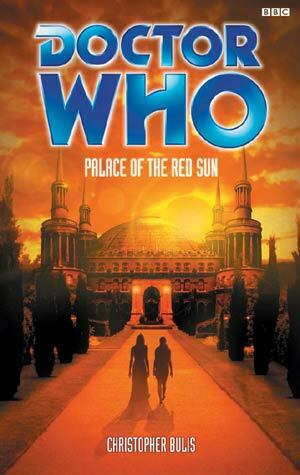 This adventure features the Sixth Doctor and Peri.